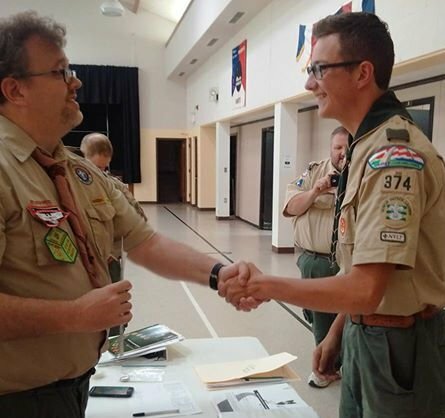 Congratulations to Jeremy Sutphen who passed his final Board of Review on May 15 2016 and he officially became our 80th Eagle Scout! 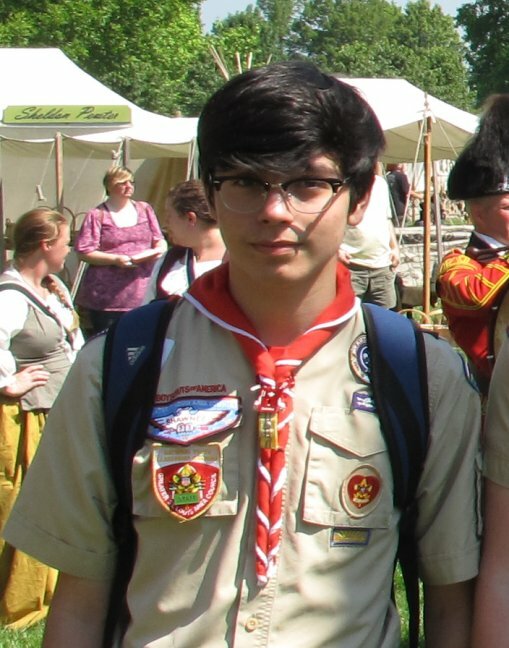 Jeremy has not scheduled his Ct of Honor but he should be recognized at a Troop 374 Eagle Ct of Honor this fall! I need your assistance to keep our webpage up to date! 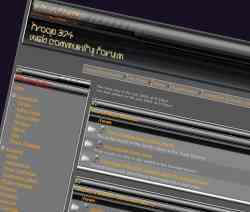 If you have a news article, update or a brief summary of the next event. Or would just like help with a summary of the last event... Please submit it to me via e-mail. Click here Maintaining this page is a lot of work and there is no reason why you cannot help! Click Here to see what we have. A "Members Only" area is now available. Members must fill out form providing useful information or you cannot be e-mailed back with the approval. 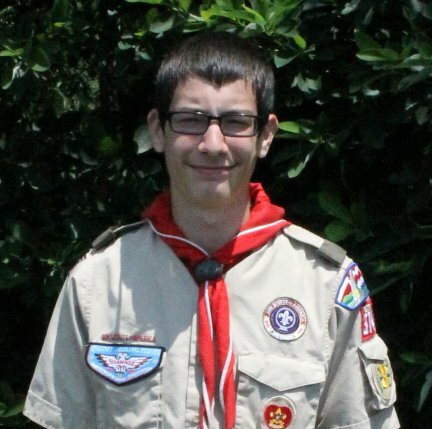 Troop 374 has a unique to program that we pride ourselves on: All new Eagle Scouts are eligible for a High Adventure scholarship program that we award to Scouts that earn their Eagle rank. Very few units offer such an opportunity! There MAY be a $400.00 cap efective for all new Eagles after September 1st, 2007. We have been forced to update the requirements to read: To qualify for the free high adventure trip, the rank of Eagle must be earned BEFORE their 17th birthday and there can be NO "emergency" board of reviews! The minium requirements state that you must be Life for at least 6 months to get Eagle. But it is rare for someone to complete it in less than a year. So, to get your free trip you should earn "Life" before you reach age 16! Lastly, to prevent scouts from transfering into our troop just to get the free trip, you must serve an *elected* leadership position with 374 and must also be active in our unit for at least one year to be eligible. Meritbadge.com is apparently back up, up to date and working! 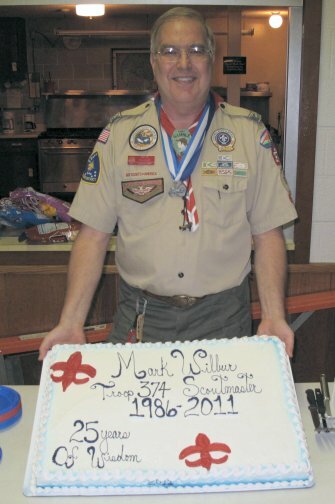 US Scouting is still avaliable for the merit badge research too! How do I earn a Merit Badge? 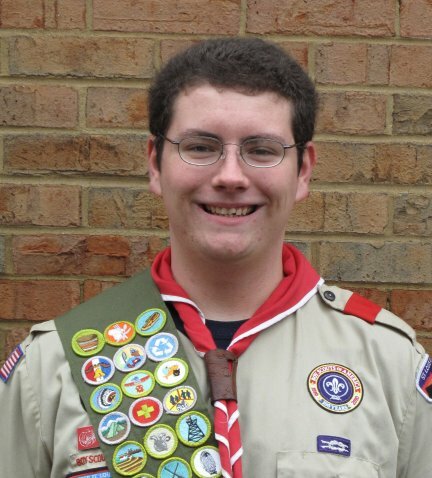 Check out the new section called: How do I earn a Merit Badge? Here is a collection of e-mails about the delima many parents face between keeping good grades at school and participating in Scouting. Click Here to see what others have to say. 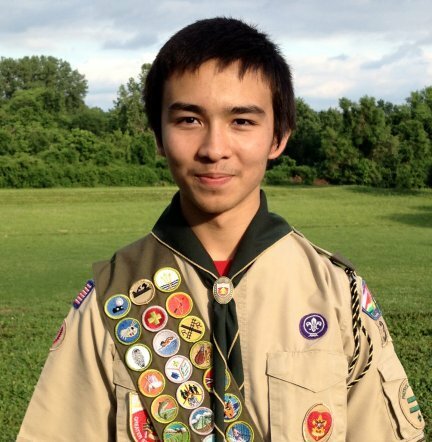 On March 02, 2015 Benji passed his final Board of Review and he officially became our 78th Eagle Scout! 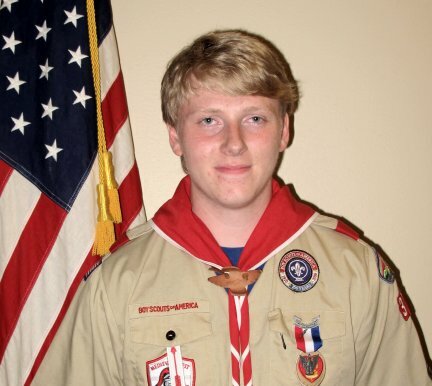 On July 14, 2013 Chris N. passed his final Board of Review and he officially became our 75th Eagle Scout! Chris's Eagle Ct of Honor Date has not been set but will probably be sometime this fall. 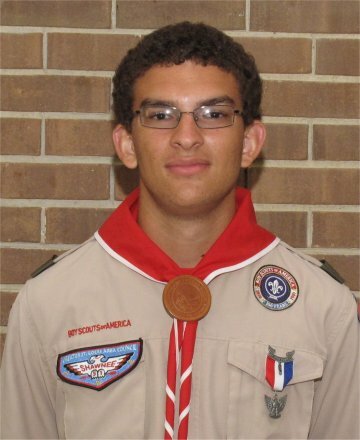 On December 13, 2009 Chris R. passed his final Board of Review and he officially became our 74th Eagle Scout! Chris's Eagle Ct of Honor that was held on March 21st, 2010.